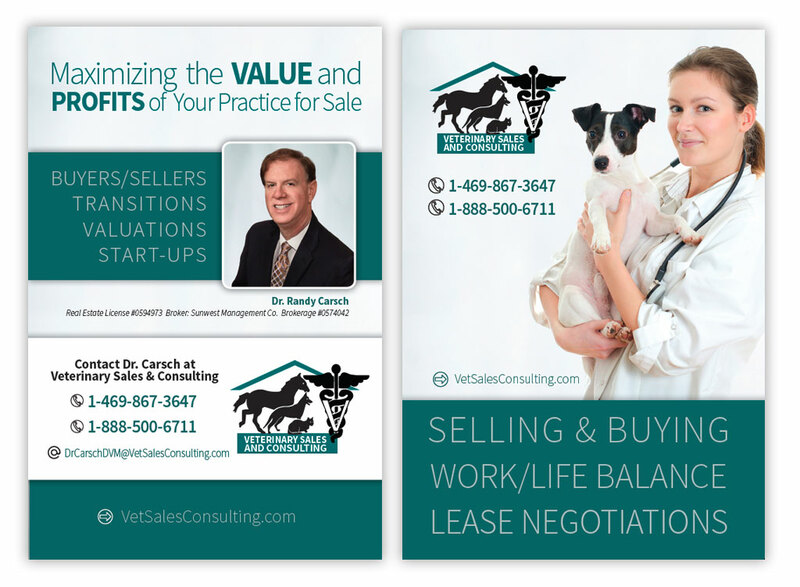 Veterinary Sales and Consulting provides consulting, strategic planning, preparing a practice for sale, transition plans and buyer representation. 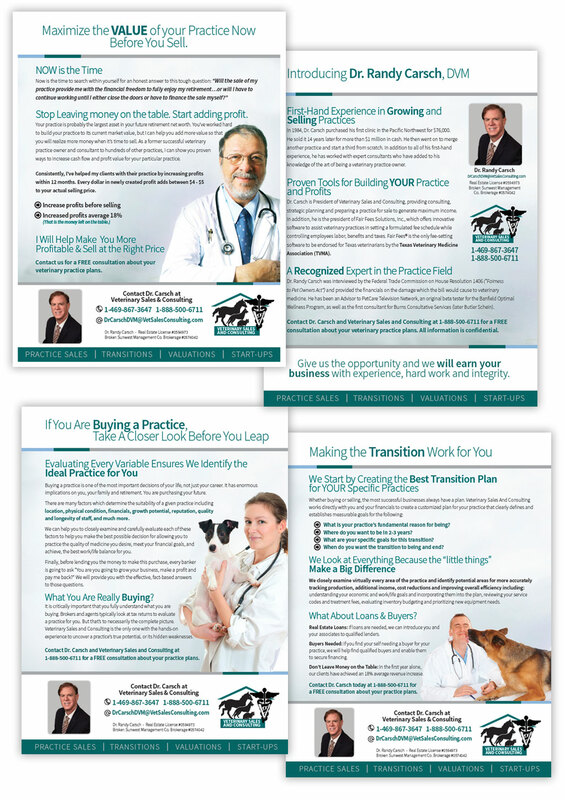 Dr. Carsch and his team are experts in veterinarian practice industry as a practice consultant and licensed real estate agent in the state of Texas. Dr. Carsch ad his team have the experience to determine the value of your practice and help you turn “potential” dollars into real dollars. 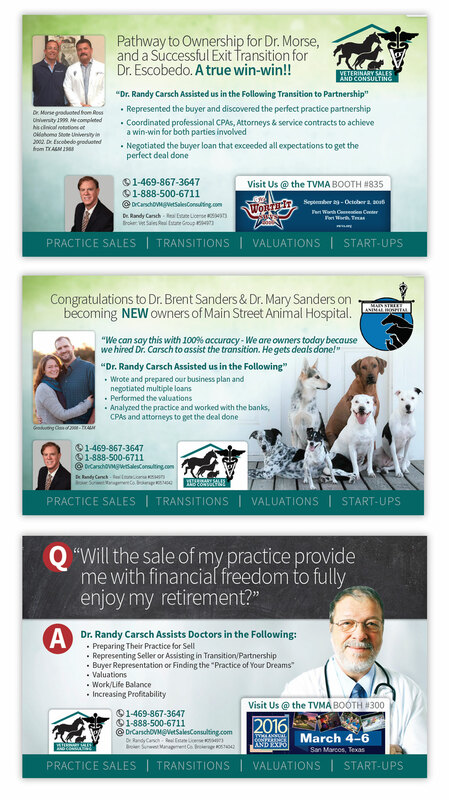 Empire has worked closely with Dr. Randy Carsch and Tricia Ingram in a variety of print design, publication advertising, direct mail solutions, sales literature and handouts, as well as trade show banners along with their primary digital form of advertising, their new web site in 2017.